Contact haydn.huntley@gmail.com for MagBalls, magnets, and extremely carefully assembled, precisely measured carbon fiber arms. I test and measure each set of arms. 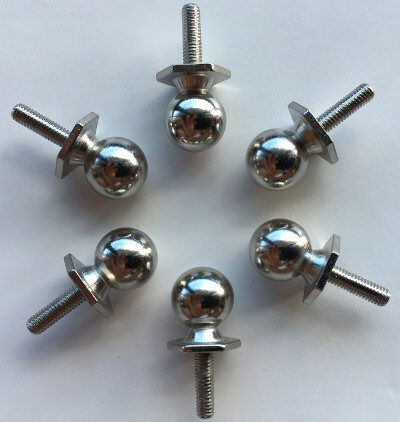 The magnets in the joints have a tested holding strength on a MagBall of at least 1.5kg. The arms in a set match lengths within 50µ, according to my calipers, and typically they match within 30µ. All sets of arms include MagBalls, N52 magnets and CNC’d Delrin ends. 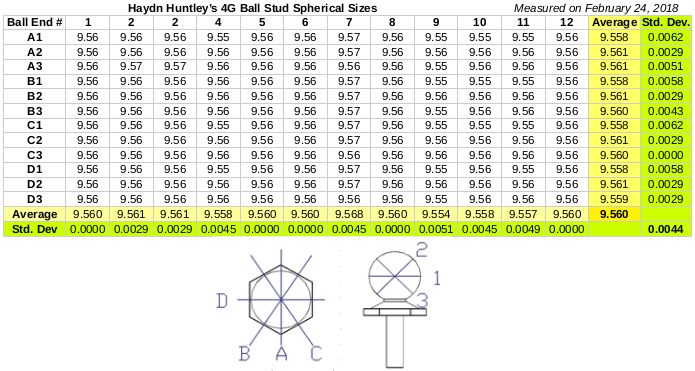 These new ball studs are about 10x as precise as the previous ones I was able to have made. I don’t recommend the practice of unattended printing with any 3D printer, though that’s the way I usually print.